At Marcos Ortega DDS, we are concerned not only with the condition of your mouth but also with how it influences your complete physical well-being and gum health in San Diego. 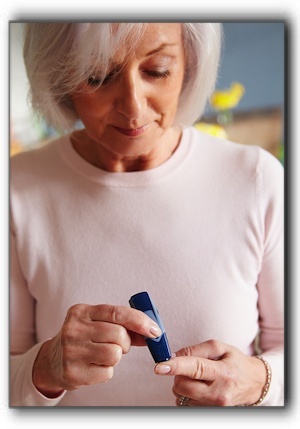 Today’s post looks at the connection between diabetes and oral health and may be of interest to San Diego residents with diabetes as well as individuals who are trying to reduce their risk factors. Scientists have known for quite some time that people with diabetes have higher rates of gum disease. Maintaining proper blood glucose levels is the key to minimizing the risk of gum disease and related problems for those affected. Additional research is exploring the reverse relationship. In other words, whether poor oral health increases the risk of developing diabetes. Findings from a long-term study suggest that it does. Additional trials are exploring how tooth and gum health impacts the ability of diabetics to manage the disease. Not only are people with diabetes more susceptible to serious gum disease, but serious gum disease may have the potential to affect blood glucose control and contribute to the progression of diabetes. If you have diabetes, it is important that you see a dentist regularly and are enthusiastic about daily oral hygiene, proper nutrition, and other important practices. In addition, your success in controlling your blood glucose levels will improve your gum health in San Diego and vice-versa. If you don’t have a dentist and live in San Diego or the greater San Diego area, we invite you to call our office, Marcos Ortega DDS, at 619-295-4545. We will perform a thorough examination and one of our hygienists will treat your teeth and gums to a professional dental cleaning. Then we will create a useful plan for improving and maintaining your gum health in San Diego for life. We can be an essential member of your healthcare team and will work with your medical doctor, if necessary. We also offer services such as Invisalign, dental implants, and dentures.